Inspired by this weeks Mojo Monday Sketch and the Ribbon Carousel Challenge #89, I used Kitchen Sink Stamps Cup of Warm Comfort along with pattern paper from My Minds Eye to create my card. I love all the elements of your card. 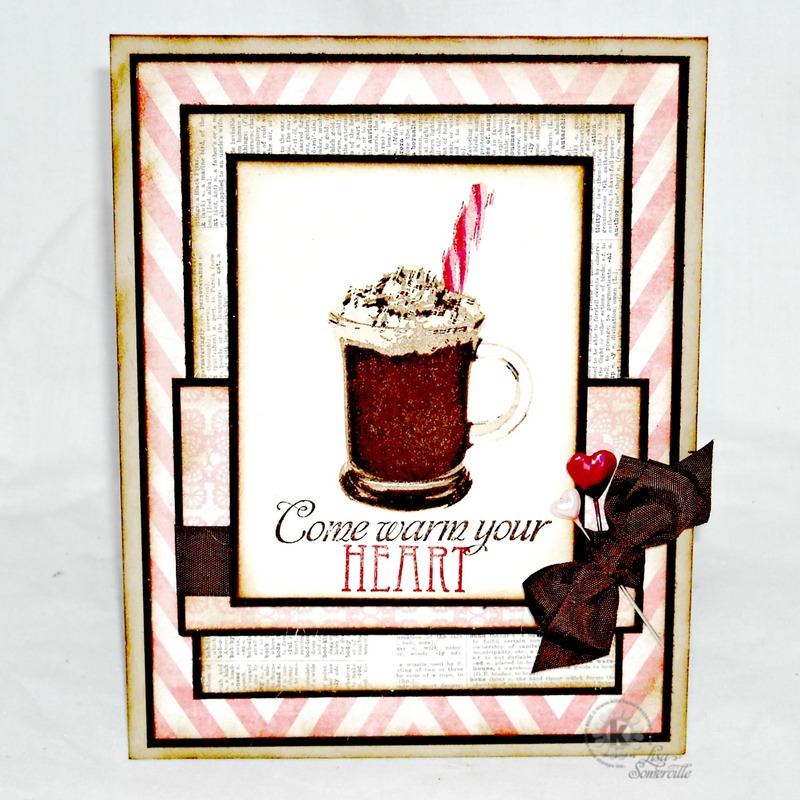 The soft feel with a shabby chic feel, the heart pin and the drink looks delicious!! !